274 pages | 70 B/W Illus. 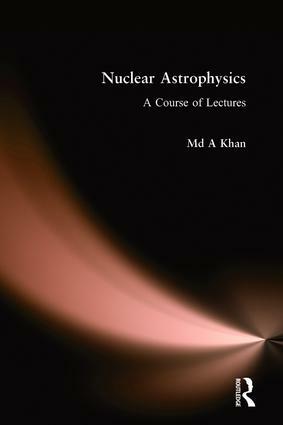 In this volume the physics involved in various astrophysical processes like the synthesis of light and heavier elements, explosive burning processes, core collapse supernova etc have been critically addressed with minimum mathematical derivations so as to suit all faculties of the readers. For graduate students there are solved problems with exercises at the end of each chapter, for researchers some recent works on the calculation of physical parameters of astrophysical importance like the calculation of Sfactors at low energies have been included, and for amateur readers there are lot of history, information and discussion on the astronuclear phenomenon. Md A. Khan is Assistant Professor in the Department of Physics, Aliah University, Kolkata.